This month, I gave up grains, gluten and other white carbohydrates, fruits, dairy, and alcohol except for wine, but granted myself one cheat day per week (I took three total) as part of my 30 day Slow Carb Diet challenge. 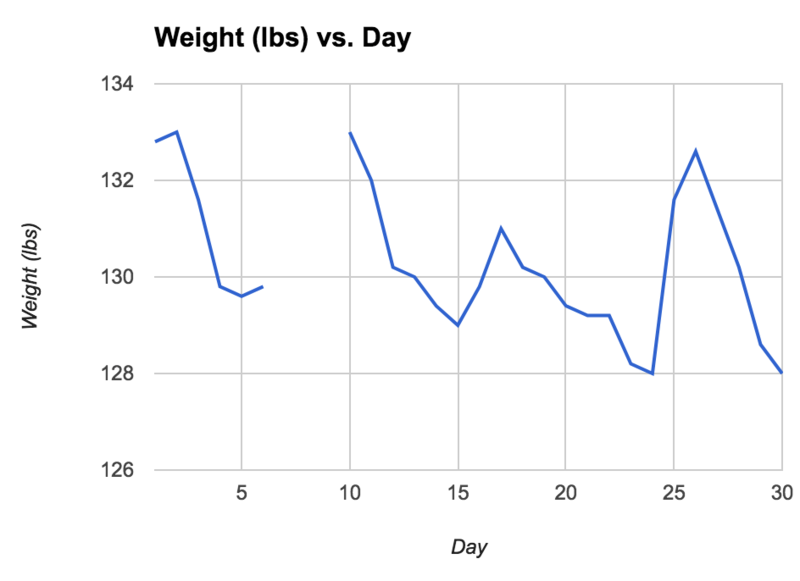 Note: I didn’t have access to a scale in Hawaii, thus the gap in weigh-ins on days 6-9. 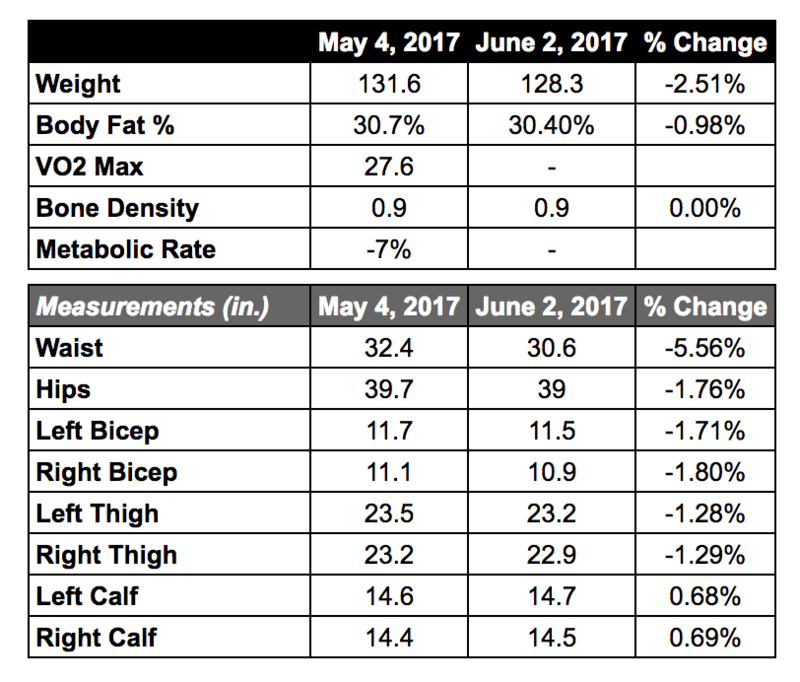 The good news is that this fat loss diet did, in the end, result in fat loss. On top of that, I lost pounds and inches including 2 inches in my waist. I said this during my “no shopping” challenge, and I’ll say it again today. When you get it into your head that you’re going to commit to something, as in a whole-hearted commitment (not a let’s give it a whirl for a few days and see what happens effort), it’s very easy to stay on track. This month felt like a constant parade of forbidden food being offered to me. Ice cream and nachos and barbecue pulled pork sandwiches, oh my. Tempting? Absolutely. But I never had to fight those internal battles. I never had to stand there and decide whether or not I would take a bite. The decision had already been made. “Will cutting out certain foods from my diet make me feel any different? ” I pondered in my very first blog post three years ago. The answer was yes. I felt and continue to feel stronger and more energetic every time I eat clean for long stretches of time. My allergies go away. I sleep better. And I don’t get sick. When I don’t watch what I eat, on the other hand, I’m not as strong and energetic. I come down with frequent sinus infections and sore throats. The morning following my final and very indulgent cheat day, I woke up with – you guessed it – a sore throat and sinus infection, and it hit me hard. In fact, as I type these words, I’m sitting in bed, restless, sniffling and coughing, watching my 18 month old son sleep next to me – restless, sniffling, and coughing. He’s sick because of me. This isn’t the first or the second time this has happened, but it’s certainly the last time my sweet little boy gets sick on my account. That’s my long winded way of saying that while the official Slow Carb Diet challenge has ended, the diet continues – without the cheat days. And I’m very motivated to press on. There will be modifications to the rules on how I eat, especially since I’m adding exercise to the mix, but rules will exist. I always work better with them. 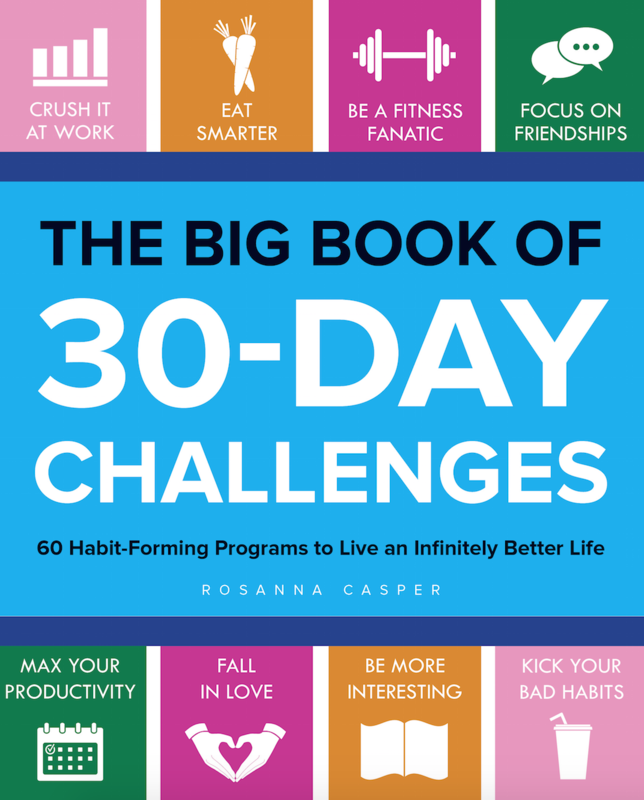 But more on that next week when I introduce my new challenge – 30 days of exercise.